Netflix is to open a major US production hub in the southwestern state of New Mexico. 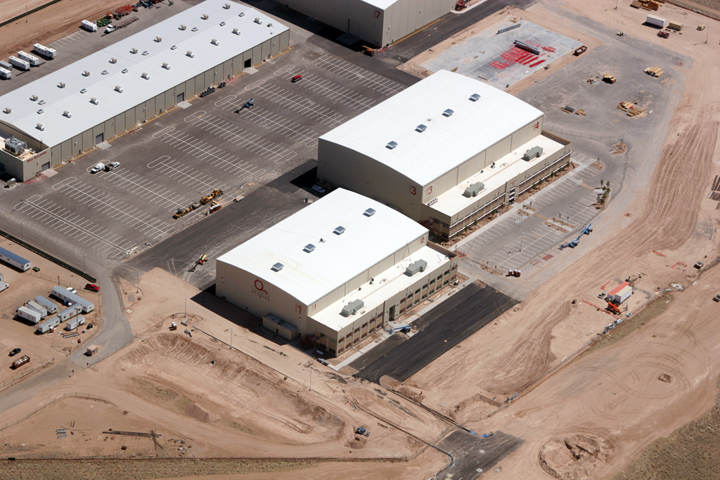 The streaming giant is in final negotiations to buy ABQ Studios (pictured), which is located in Albuquerque’s Mesa Del Sol community, and plans to invest $1bn into production in the state over the next 10 years. The studio – which marks Netflix’s first purchase of a production studio complex – will create up to 1,000 production jobs per year. Recent projects to have filmed at ABQ include films Avengers, The Lone Ranger and Sicario, while TV projects include Better Call Saul. The 100,000 square-foot space encompasses eight sound stages, production offices, mill space and a back lot. Netflix will produce both film and television series at the new facility and various locations around the state. Forthcoming titles include apocalypse dramedy Daybreak, supernatural drama Chambers and suspenseful drama Messiah. Chambers and Messiah are currently being produced in the Albuquerque area. Both productions have provided jobs for more than 700 New Mexican crew members. Previous Netflix productions in New Mexico include Godless, The Ridiculous Six and Longmire. The announcement was made by New Mexico governor Susana Martinez, Albuquerque mayor Tim Keller and Netflix VP of physical production Ty Warren. The base is funded by New Mexico’s Local Economic Development Act (LEDA). The state will provide up to $10m in LEDA funding, while the City of Albuquerque will commit up to $4.5m in local LEDA funding. Governor Martinez said: “Netflix is at the cutting edge of the film and television industry and it’s an honor to welcome them to New Mexico. After years of hard work to cut taxes and make New Mexico business-friendly, we’re seeing incredible results.